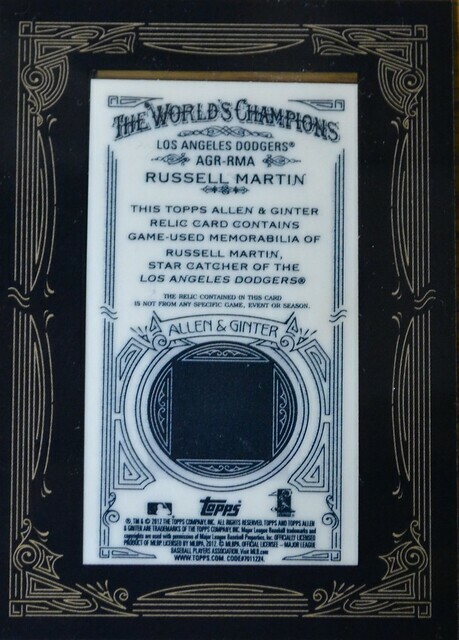 Why did Topps issue a 2012 baseball card showing Russell Martin in his Dodgers uniform? Martin hasn't played with the Dodgers since 2010. But I don't really care. I just thought it was weird. 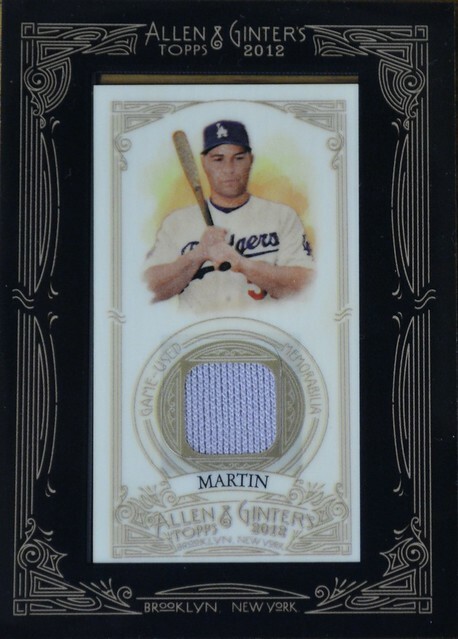 This is a 2012 Allen & Ginter relic card of Martin containing a game-used memorabilia. I got this for $2.25! This fits right in my collection. Here's the back of the card. Good luck in Pittsburgh Russ. Beam Exclude women's high heel sandals along with presented freezing stares for you to your ex moving fake cartier by simply peeping via around your ex Beam Exclude hues. And then, I want to offer you a shorter launch involving Fendi. Truly, Fendi can be renowned due to the popular costume, laid-back chanel replica, beachwear, necklaces, designer watches, parfum, luggage and the like. Their makers are generally Karl Largerfeld along with fake fendi via 1962. Every single subsequent movie star as well as style as well as movie star gracing crimson rugs in seen situations athletics a collection of his or her dependable Beam Exclude eye wear to generate a developer manner affirmation. Superstars along with socialites own many frames involving iwc replica correspond every single clothing involving their own. Therefore you way too will quickly realize Beam Exclude support frames to evaluate every single clothing involving your own house. Your fresh air probably won't only get that will restrict subsequent to present let air flow by way of along with replica hublot turning out to be but in addition incorporates your bogus natural leather uppr available ruggedness in addition to steadiness.